The terms “Major Tonic", or ‘us’ or ‘we’ refers to the owner of the website. The term ‘you’ refers to the user or viewer of our website. • You may not create a link to this website from another website or document without Major Tonic’s prior written consent. The members area is available to all members with active membership. If a membership is cancelled, then access to the members area will be lost. 1. Major Tonic aims to create a safe and positive environment for all its members, where all members are able to obtain the most from their participation in our events. In order to do this, we must ensure acceptable standards of behaviour from our members. 3. All members should respond to the leadership of the director and official staff members. 4. Members should be co-operative with both staff and fellow members, and uphold an equal-opportunity environment. Any negative behaviour towards others, the director or to the rehearsal and performance environment will lead to cancellation of membership. In this case, membership payment will not be refunded. 5. Members should understand clearly that Major Tonic cannot be held financially responsible for damage caused by misconduct. 1. Major Tonic reserves the right to refuse admission of any member. 2. Major Tonic will provide a suitable number of rehearsals in the lead up to each event so that the choir may be properly and professionally prepared to take part in that event. 3. Costs for participation may vary according to the nature of the event. Costs will be made clear for each event. By signing up to the event you are committing to pay the full subs for the event, on a pay as you go basis. All subscriptions (weekly) are pay-as-you-go. 5. In making an application, members are assumed to be medically fit to undertake the vocal and physical demands of participation in Major Tonic events. If an individual has any doubts, these should be indicated to Major Tonic prior to their application. 6. Major Tonic reserves the right to photograph, sound record, video any production of all the members (complying fully with child safety laws etc) and used for advertising and marketing purposes in relation to Major Tonic for our own promotional use. 7. Major Tonic reserves the right to alter the schedule of rehearsals to fit in with performances and other events that may be taking place. 8. In the event of cancellation due to bad weather (snow for example), we regret that no refunds can be given. Major Tonic however will make every effort to open the venue. 9. Membership of our Facebook and Twitter group(s) is dependant on an active membership. Unfortunately we cannot accommodate members who have cancelled their membership. 1. 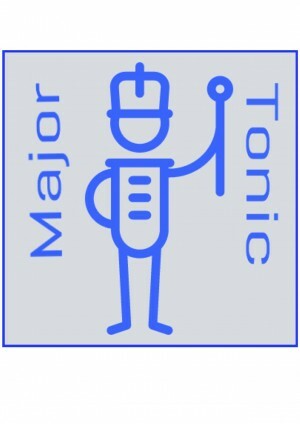 Major Tonic is not responsible for damage to person or personal belongings whilst attending rehearsals and performances or before and after rehearsals and performances. 2. Major Tonic members are responsible for their own property and well-being whilst attending all rehearsals and performances. 3. Travel arrangements are to be made by each member to rehearsals and performances. 4. Barry Webb (trading as Major Tonic) carries his own public liability insurance and PAT testing certificates. He in no way holds any responsibility for damages, loss of earnings, loss of belongings or personal property. Nor does he have any liability with any other venue or company for any damages, loss of earnings, loss of belongings or personal property. Major Tonic reserves the right to amend these Terms and Conditions at any time without notice.